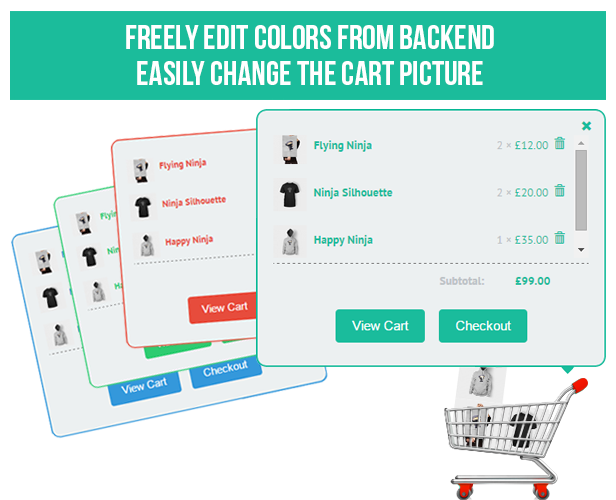 This unique WordPress plugin adds a visual cart on your Woocommerce website. When a customer adds a product to the cart, he literally sees the product go into the cart. When he clicks on the cart link, instead of going directly on the cart page, the visual cart is showed without page reloading. Products can also be removed directly from the visual cart.